The Trimble UX5 aerial imaging system can be used for a variety of applications , including surveying transportation infrastructure. PrecisionHawk used its Lancaster UAV platform to help CP rail in Canada construct a 3D topographic model of a sketch of railroad tracks near Lake Superior. Buckle up. Unmanned aircraft systems (UAS) are ready to take off for the surveying and geospatial professions. At the AUVSI’s Unmanned System’s conference this summer, manufacturers taxied around the exhibition floor with the newest technology. On Wall Street and in Silicon Valley, investors—such as former Wired magazine editor Chris Anderson—are fueling up startups. In Washington, the FAA and other government agencies are navigating policy and privacy issues. Whatever the nature, UAS will take flight because they can provide tangible benefits, particularly in speed, safety and efficiency. Several companies, including but not limited to Trimble and SenseFly, appear prepared to lead surveying and the geospatial community into the air with unmanned vehicles. The benefits drive the acceleration of UAS usage, and the benefits start with speed. “Speed is significantly greater than what a surveyor can do with traditional tools,” said Rob Miller, the UAS portfolio manager at Trimble. UAS also offer advantages in safety, particularly in difficult terrain and for avoiding wildlife and snakes in land surveying. Perhaps most importantly, UAS provide great benefits in efficiency, saving time and money for firms on many projects. “Just the fact that you can do things cheaper, you can do things yourself and you can do things on demand and get 100 times better resolution, it’s become a very attractive thing,” says Pat Lohman, the COO of PrecisionHawk, a UAS company that was founded in Canada. According to Miller, UAS are a perfect fit for volume calculations of stockpiles and open-pit mines because of their speed, safety and efficiency. Often times, only one flight is needed to survey the area and capture the data. “Basically, (UAS are) able to turn around results in a day,” Miller said. The Gatewing X100, the predecessor of the Trimble UX5 aerial imaging solution, has monitored elephant populations in Burkina Faso, and Lance Brady of the Bureau of Land Management says his agency also has used UAS for wildlife monitoring. Brady said that UAS provide cost savings and are much safer to use. Unmanned aircraft also fill in gaps in information that are not provided by satellite or manned aerial imaging. “We’re gathering information that we’ve never been able to gather before,” Brady said. He expects the BLM to conduct more UAS projects in 2014, including surveying dinosaur tracks in White Sands, N.M., and monitoring pinecones in Oregon. SenseFly has taken UAS to new heights in Europe—literally. Engineers from SenseFly used the company’s eBee UAS to create a 3D model of the Matterhorn with 20-centimeter resolution. The project, with help from SenseFly partners Pix4D, Drone Adventures and Mapbox, took 11 flights to complete. The project collected more than 2,200 images in a few hours of flight time. (See story on Page 18). Other companies are expanding their horizons. PrecisionHawk—originally named Wine Hawk Labs because it was first used to fly over vineyards—has moved beyond solely agricultural applications, though it still focuses heavily toward that market. Instead, Precision Hawk has transformed itself into a remote-sensing company. 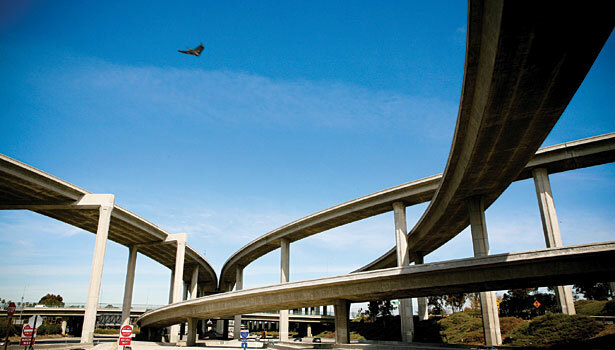 PrecisionHawk has ventured into other applications, such as infrastructure surveying and 3D topographical modeling. 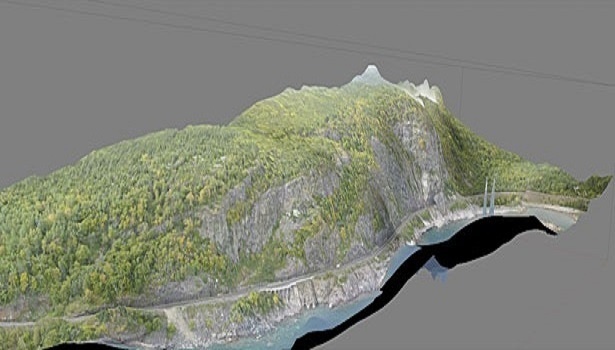 The company used its Lancaster UAV platform to help CP Rail in Canada construct a 3D topographic model of a stretch of railroad tracks hugging the base of a cliff near Lake Superior. Working with Queen’s University, CP Rail has tried to determine when rocks will fall on the tracks. The project is dangerous, and it’s costly for manned aviation because it is photographing just 1,000 feet of cliff. In the United States, commercial use of unmanned aircraft systems remains prohibited. So while other countries such as Australia, Canada and the United Kingdom have used the new technology on various projects, the U.S. geospatial community sits in a holding pattern while the FAA grapples with a policy.